Scheduled to open this month is the latest Jewel of Singapore – the Jewel Changi Airport. This multi-purpose development includes a hotel, aviation facilities, retail stores, dining facilities, and various attractions. A complex that houses all these facilities must be massive! The complex covers a total gross floor area of 134,000 meters, which spans about 10 stories. I am most excited about the key attractions including the world’s largest indoor waterfall and the five-story indoor garden. Let us start with the HSBC Rain Vortex. Standing at 131 ft high is the world’s largest indoor waterfall. At night, the Rain Vortex glistens with lights and sounds. These were curated by the water design expert WET Design. I expect nothing but the best! Lastly, Canopy Park aims to astound you with its two gardens including Topiary Walk and Petal Garden. The former features animal-shaped topiaries. The latter features seasonal floral displays. These natural displays excites my flower-loving heart! Aside from flowers, food holds a special place for us. 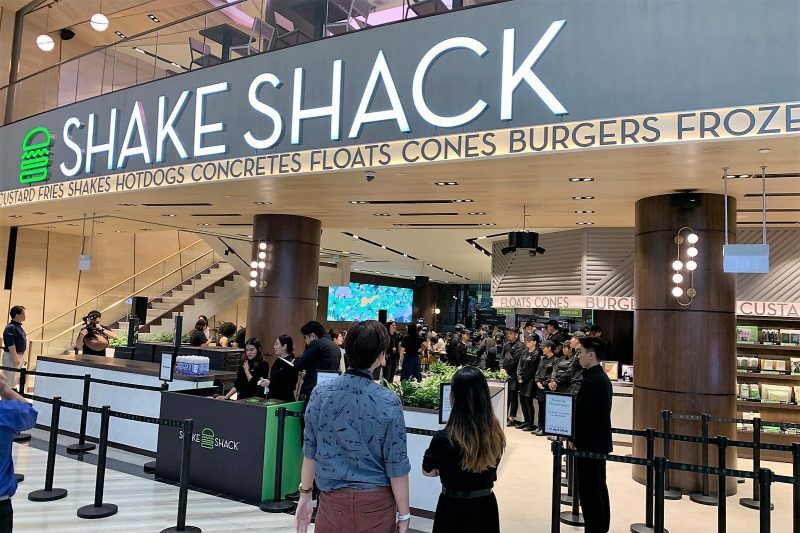 Singaporeans are enthusiastic about the flavors offered by Shake Shack and the comeback of A&W Restaurant.